There are times at high school or college when the assignments to write an essay are given, a student puts them off, but the deadlines approach quickly. As a result, many students wonder how to write a great essay in a hurry because it has a significant impact on their academic attainment. For the most part, grades worry students, but most of them fail to have high grades. Indeed, it is difficult to meet some strict deadlines because of the lack of time. And, what if you are pressed for time? This guide will let you know why you may tend to procrastinate essay writing. You should pass through all the stumble stones with the help of some useful tips on how to write an essay and beat the deadline in a hurry. All that is thoroughly covered in our guide. Read further to get equipped to start writing essays under the time pressure and submit it when required. Why Don’t You Start Writing Essays on Time? Most students do not have a plan to do their homework. They just neglect this effective option to create a plan before getting down to homework. In fact, this approach increases the likelihood of doing your homework assignments on time and avoiding the ‘rush hour’ when you start suffering from a headache. 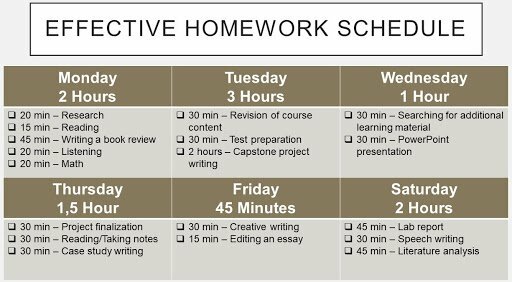 The general homework plan includes a reasonable amount of time allocated for completing it. For example, on Monday, you can devote 2 hours, on Tuesday it can be 3 hours, and so on. Remember when you stick to particular time frames, you are well-organized. Moreover, you can be more organized when your daily homework schedule is divided into steps. Take into consideration essay writing. How many steps should be included to succeed? Watch the video to know what 3 easy steps can bring you to great results in writing essays. A homework plan outlines the effective procedure of dealing with homework tasks. Adhering to it allows you to start and finish essay writing and other academic activities on time. Meet all your deadlines with a proper daily plan of actions. Based on a survey of 1000 students carried out by TeachThought Staff, it is discovered that students want recognition and appreciation for doing their homework. Half of the students agree that recognition of their work by teachers is imperative for them. It serves as an incentive to get the following work done later. According to “Visible Learning Feedback” by John Hattie and Shirley Clarke, feedback has more impact on student results than any other teaching strategy. What is the power of giving and receiving feedback? As for students, right feedback lets them know how they are going while also telling them how to improve their performance in a particular task. Essay writing, which is a part of an academic curriculum and acts as a preparatory phase for examinations, should be also estimated fairly with the help of effective feedback. Don’t wait for only positive comments on your performance. A wise tutor can access your work objectively by highlighting what makes it look better or worse. It will encourage you to write your essay as required. Ask for feedback anyway! When students lack the knowledge of the topic on which an essay must be written, there is a huge likeliness that they will not write it or do it in a slipshod way. Having enough knowledge regarding the essay given is needed to write a high-quality essay. How to gain all the necessary information required to write an essay in a proper way? In fact, it isn’t enough to open a browser and type the topic of your essay. Because of the large bulk of data on the Internet, some difficulties in understanding a topic are left. For the general review, you can look through the first links available to you. But keep in mind that you should refer to some credible sources of information to add truthfulness to your own ideas. 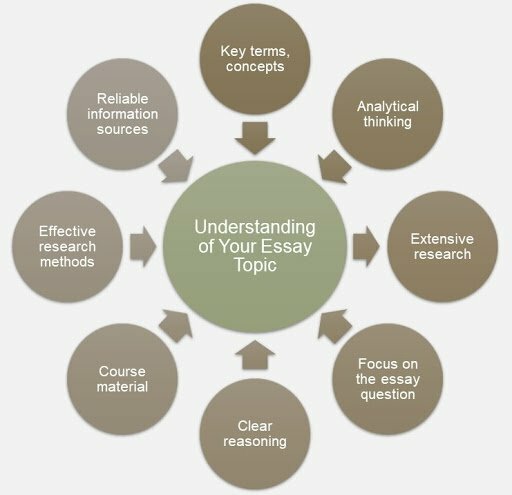 Consulting the reliable data, you can come up with a full understanding of the essay topic. But still, when you feel some uncertainties in understanding your essay topics, follow this checklist to feel certain, “I’m able to write my essay right now!” This way, you have more chances to start writing an essay without delaying it till better days. Procrastination is one of the major banes in timely writing of essays that affects the overall academic success of students negatively. Other academic activities easily distract some students while others are just lazy to start everything on time, not at the last minute. For example, some students prefer to spend more time on Facebook, Instagram or YouTube. Let's face it, the rate of social media use in 2018 is quite high and ever-increasing today according to Pew Research Center. So social websites may make you procrastinate. Note down how much time per day you devote to scrolling a newsletter. BBC tried to answer the question, “How much is ‘too much time’ on social media?” Either way, think about your health if you don’t care about your studies as the frequent use of social networking sites is associated with poor psychological functioning among children and adolescents. Maybe, you put off the urgency of writing an essay for various reasons that are mentioned before. Return to those points to stop procrastinating and start proceeding with good essay writing! Get motivated enough to write an essay in a hurry when the deadline looms nearer. Writing an Essay of Good Quality in a Hurry Is Possible! The degree of inconvenience faced by a student does not really matter, there will always be the time to write the essay quickly. Whether you are working, procrastinating, don’t understand a topic, have no feedback, or no homework plan, below are tips on how you can get your essay written in a hurry. You’ve already known about the importance of a plan of action while doing homework. However, creating a plan for each task is imperative in getting the whole work done. Everybody works at a different pace and as such, you should create a plan that will work for you to write an essay in a hurry. The plan should include time scheduled in researching, organizing the information, and writing the essay. Ensure there is ample time to proofread your work before its submission. Have the first-hand experience of an easy distraction when a phone rings or a message is delivered? So it is better to get rid of all possible distractions while studying, reading, writing or listening. It is reported that most students are easily distracted by technology nowadays. Writing an essay requires all your undivided attention. The last thing that you would like to face when writing an essay in a hurry is a Facebook or Instagram notification that someone likes your post. Turn all the notification sounds off or switch off your phone or tablet until you complete the essay. Before you start writing in a hurry, it is important to have all the relevant sources of information at hand. This will curtail the need to run around by gathering all the necessary information on how to write an essay fast, how to edit an essay in a required format (APA, MLA, Chicago, etc. ), and so on. Eventually, you’ll waste less time if all that information is kept in an easily-accessible form. Today, this form is online. So do not be too lazy to find a book that will serve you as a reliable information source or a formatting guide. Save it by pointing out on what page the information is or download the PDF file to finish the essay on time. When students write essays to beat deadlines, what do they usually do? They are likely to copy and paste other people’s words. The Internet is crammed with resources where many essays are provided as samples of writing on a particular topic. It makes a student feel tempted to take it and use it in his/her own work. Right, you get the work done faster, but how can you be sure that your groupmate won’t do the same? Oops! As a result, the reputation of both is damaged. Keep in mind that plagiarism in the academic setting is unethical, immoral and as such can make you lose the points. Plagiarism is very easy to spot, especially when an essay is run through a plagiarism checker tool. Avoid plagiarism at all cost. Ensure that your essay is written from scratch to be relevant, fresh, original, and unique to maintain the trust of your teachers and earn the deserving scores. When you face the need to write an essay quickly, don't despair by saying, “I can’t write my essay so quickly”. In this case, you can seek assistance. On the Internet, there are different forums and groups consisting of essay writers that you can join. Essay writing ideas are shared and expounded on these platforms. In any case, you always can rely on our fast writing help with your assignments. Don’t run out of time and ideas on how to write an essay in a hurry. Seek for the assistance of more experienced and pressure-resistant writers and ask for high-quality assistance. Believe that even when you are in a hurry, you can do your best to submit a perfect essay on time. It’s time to apply all these tips in practice. 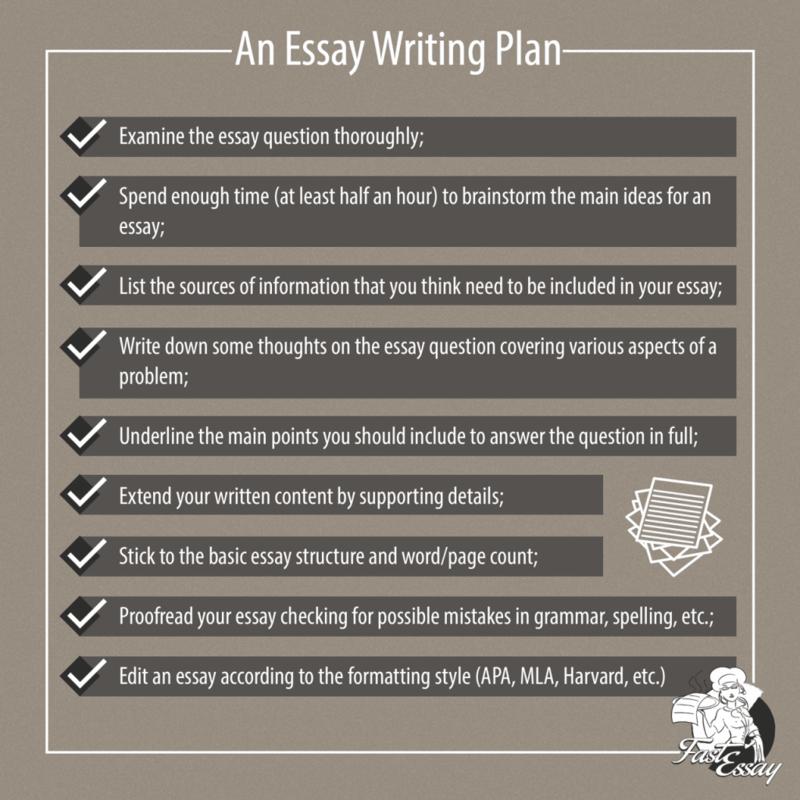 Write an essay in the way covered in our guide, and you’ll be surprised how easy it is. Feel less stressed with us!